New releases expected late May / June. Traverse New Scenic Backdrop – Expected June 2012! New from Traverse a new Desert Scenic Backdrop. Expected in late May! First Legion – New May Releases! Next, Stalingrad rolls inexorably onwards with yet another release for our marquis WWII: The Arms and Armies of the Second World War 1939-1945 figure range with a German Mortar set, a German Feldwebel directing fire, the first personality in the range with General Paulus, and finally a much requested casualty figure. 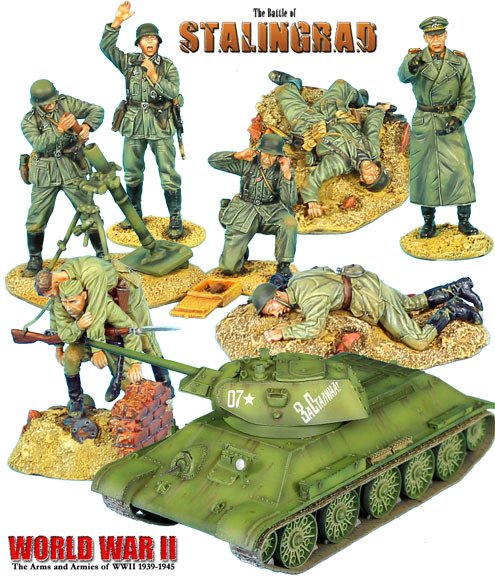 Not to leave the Russians high and dry, we’ve added two casualty sets, one of them a stunningly sculpted 2 figure vignette, along with a wonderful T-34 76mm STZ tank with two different turret options. The T-34 and casualties in particular have probably been among the most requested sets that we’ve been asked to do for this range, so it’s good to get these out to the collectors who’ve been asking for them. 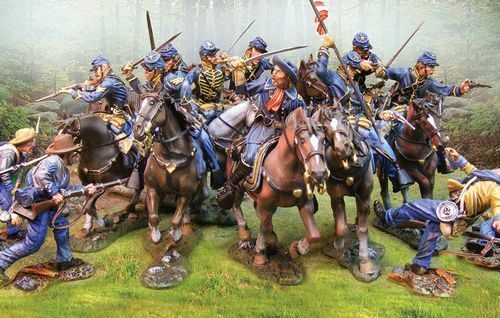 Finally, we have our next big release for our flagship Napoleon’s Europe product range, the French 18th Line Infantry Regiment. This regiment was one of the most distinguished in the history of the Grande Armee and was thus called “The Brave” and can be equated with being near equal to the Imperial Guard in terms of the quality and performance in battle. We did say previously that 2012 would be the year of the Napoleonic French and French Allies and we’re pleased to get that ball rolling. The 21 new figures representing the command and fusilier companies are the trickle (if you can call 21 figures a “trickle”) that will turn into an avalanche as 2012 progresses! So that’s what we have for new releases, all of which will be shipping at the same time right around the end of April or the first week of May. Next up, we’d like to thank all of you who pre-ordered our latest sets to come into stock, REN014-REN020 Renaissance German Landsknechts (a word that I am proud to say I have finally mastered spelling after butchering it for years! ), ACW038 Union Cavalry Horse Holder, and NAP0350 Archduke Charles. These sets arrived at our warehouse late last week and all current orders have been shipped at this point. So thanks to all of you who ordered them and we sincerely hope you enjoy them as they’ll be arriving at your respective doors any day now. We are extremely pleased with how the figures came out given how challenging each of these sets was from a production perspective. During final inspection, a colleague at our factory asked me if we could “please do something easier next production!” Unfortunately for him, I reminded him that our Mounted Takeda Samurai which are previewed on our website on the workbench are next, so not only are we not doing something easier, we’re doing about the only thing I can think of which is actually more difficult! First Legion presents you with the French Grande Armee! The French soldiers made war all over the continent of Europe against all major powers of the age and it was the line infantry who made up the backbone and striking power of the Grande Armee. This regiment was one of the most famous and elite of all of the French Line regiments and was thus nicknamed “the Brave.” They distinguished themselves in action at both Aspern-Essling and Borodino in addition to 36 other engagements. Presented in the style that is unique to First Legion, the initial release of the Fusilier/Center Companies contains 21 different figures. 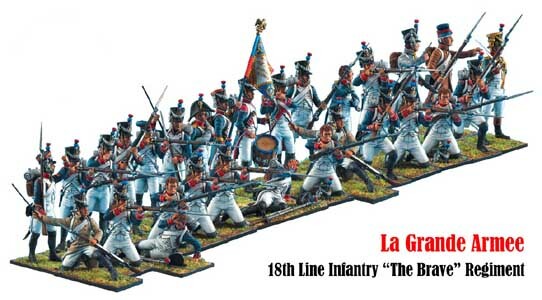 The Grenadier and Voltigeur companies will follow at a later time bringing the total coverage of the French 18th Line Infantry Regiment to 40 unique figures! Thus, even with a single of each figure, you can put together an impressive and, above all, extremely realistic diorama of French Napoleonic infantry in line of battle. Yet another example of First Legion demonstrating that when it comes to Napoleonics, there simply is no other choice! For images of the rest of the figures, please visit our website. There has been a lot of speculation lately that we might start a range for the Western Front. Well, that may or may not be so, but we are certainly moving full speed ahead on our Stalingrad range one way or another!!! 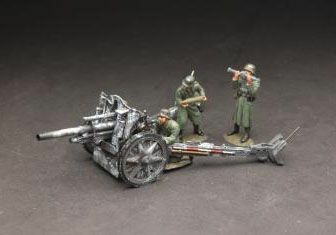 We are very pleased to present the latest releases for our marquis eastern front WWII range, the Battle of Stalingrad. Over the past two years the questions we’ve been asked most about this range are “when will you make snipers?”, “when will you make a T-34?”, and “when will you make some casualties?” Well, with this month’s latest series of releases, GERSTAL043-046 and RUSSTAL016-RUSSTAL019 we’ll have finally addressed all of these requests. So without further adieu, we give your our renditions of the iconic T-34 (appropriately the STZ version!) and German and Russian Casualty sets. We’ve also tossed in a German 80mm Mortar Team and Feldwebel directing fire and our first personality figure for the range, General Paulus, for good measure. We sincerely hope that you enjoy them! We are very pleased to present the first of our coverage of the AFV’s and Vehicles of the Red Army WWII with the T-34 76mm. 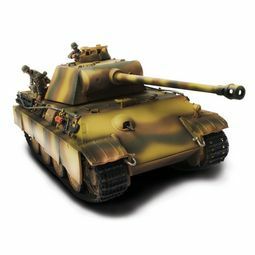 Our version of what was arguably the finest tank of WWII is the 1942 76mm version produced at the Stalingrad Tractor Factory (STZ). We have presented two variants of the model, one with a cast turret and one with a welded turret to allow for slightly different models to add interest and variety to displays. We certainly hope you enjoy them! – Extremely realistic track setup. Some months it’s difficult to decide what to preview, other months it’s oh so simple. Allow me a tiny bit of latitude for a moment if you will as I digress a bit into the world of figure designing and making. Creating a certain release for a particular range is a much longer and more painstaking process than most of you will realize and, at least for First Legion, it can often take a full year or longer from the idea to the realization of that idea. As we do this for many ranges and releases simultaneously, what was the focus a few weeks or months ago gets moved to the back burner during the long sculpting and mastering process and there is often a long time between the design spec and seeing the raw sculpts and then even longer to see the full release. Design never stops, so once we design release A, we move it to uniform research/sculpting/etc… and get on designing the next release, and so on and so on with often 10 or more designs at various stages of this process at the same time. So the shift in focus is often dramatic and the brain has moved on to other things by the time a release designed 8 or more months ago has been brought to life. Sometimes we like what we did and lock it down with little to no changes, other times we don’t like how it came out for one reason or another and make all sorts of revisions in a very iterative process. But every once in a while, and not nearly as often as I’d like, a release comes out that surpasses all expectations we had when we started the design process to begin with. 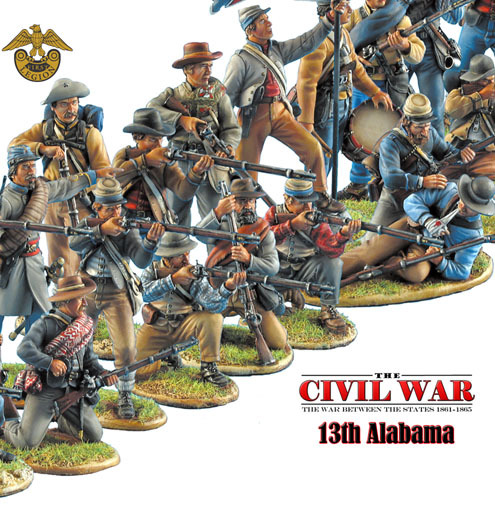 This month’s sneak peek, the Confederate 13th Alabama at Gettysburg, is one of those rare and mighty few that when I saw it all put together in the ragged line of battle that we were going for I just knew instantly that we could do it 10 times over again and this would still be the best result we could get. Collectors Showcase – New May Releases! 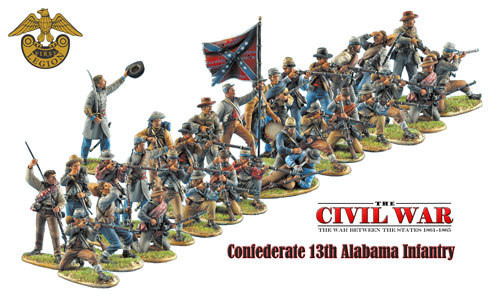 The Michigan Brigade, sometimes called the Wolverines, the Michigan Cavalry Brigade or Custer’s Brigade, was a brigade of cavalry in the volunteer Union Army during the latter half of the American Civil War. Composed primarily of the 1st Michigan Cavalry, 5th Michigan Cavalry, 6th Michigan Cavalry and 7th Michigan Cavalry, the Michigan Brigade fought in every major campaign of the Army of the Potomac from the Battle of Gettysburg in July 1863 to the Confederate surrender at Appomattox Court House in April 1865. 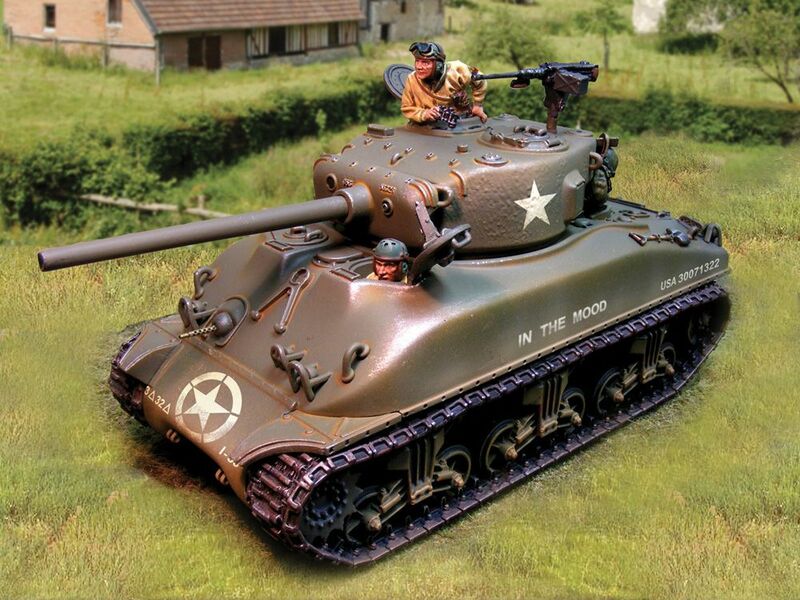 Collectors Showcase have announced their first vehicle manufactured in the USA. 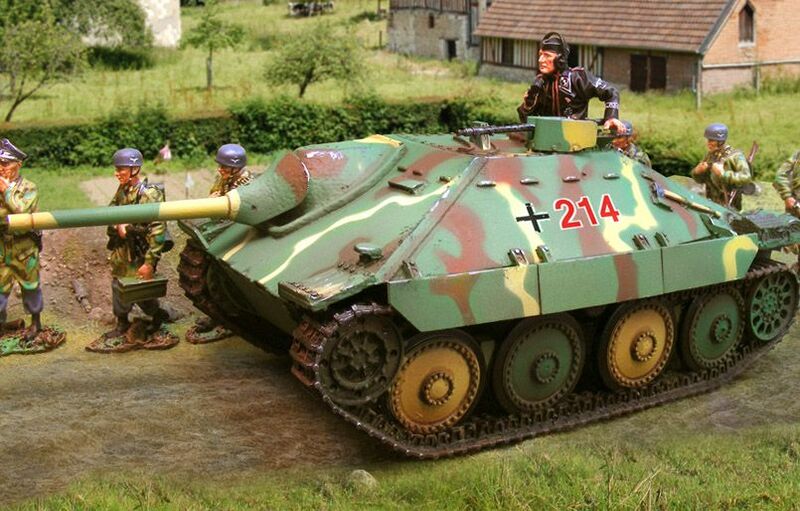 The Jagdpanzer 38t or Hetzer. The Hetzer was a more refined version of the Marder III and without a doubt an attempt to slow down Allied army thrusts on a variety of fronts. Based on the 38t chassis, it was a simple but lethal instrument of war. Our model features a figure, our well known thrown track option, removable schurzen, open copula, and comes in a Normandy and Winter pattern. Made of polyresin and metal. Lafayette G. Pool (July 23, 1919 – May 30, 1991) was an American tank-crew and tank-platoon commander in World War II and is widely recognized as the US tank ace of aces, credited with 12 confirmed tank kills and 258 total vehicle and self-propelled gun kills. He has received many medals, including the Distinguished Service Cross, the Legion of Merit, the Silver Star, the Purple Heart, the Fourragère, and the Légion d’honneur. 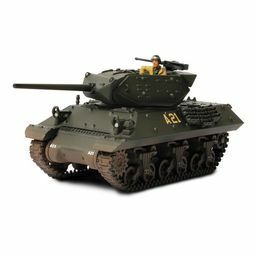 CS00588W — Sherman M4A1 Winter. Copyright © 2012 SierraToySoldier.com All rights reserved.